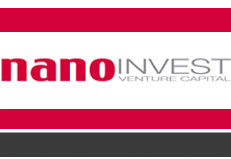 The Nanoinvest Website contains current and relevant information. We make no guarantee that the contents are complete, correct or topical. This also applies to the contents of external Websites, which are linked with this page. We are not responsible for the content of any external links. The layout as well as all contents and files of these Website are subject to copyright. Bad copies and duplications, including excerpts, are not permitted. If you have questions about privacy, please contact us at the above contact address. When accessing our website, your Internet browser automatically transmits data to our web server for technical reasons. In this context, among other things, the date and time of access, the URL of the referring website, the requested file, the amount of transmitted data, the browser type and its version, the operating system of the accessing computer and its IP address logged. The data transmitted for technical reasons are exclusively evaluated for statistical purposes, stored and subsequently deleted. An assignment of this data to a certain person is not possible for us and does not take place. If you register via our website or if you send us inquiries via the contact form, your details will be from these forms for processing purposes, as well as for possible connection questions stored and processed. Your data will not be passed on to third parties. Our site uses SSL encryption over HTTPS for security and privacy reasons. For the provision of any fee-based services, we request additional data, such as: Payment details to complete your order. We store this data in our systems until the legal retention periods have expired. If we include videos on our website, we use the video plug-ins from Vimeo or Youtube (called the provider below). If you are one of ours visit a video plugin equipped pages, a connection is made to the servers of the provider. This information of the visited Page and your IP address to the provider. This also applies if you are not logged in to Vimeo or Youtube or no account own the provider. If you are logged in to your Vimeo or Youtube account, you allow the provider to direct your browsing behavior directly to yours personal profile. You can prevent this by logging out of your account. This website uses Google Analytics, a web analytics service provided by Google Inc. ("Google"). Google Analytics uses so-called "cookies", text files stored on your computer and that allow an analysis of the use of the website by you. The information generated by the cookie about your use of this website will be published in the Usually transmitted to a Google server in the US and stored there. In case of activation of IP anonymization on this website, your IP address will be changed by However, Google has previously been shortened within member states of the European Union or in other contracting states of the Agreement on the European Economic Area. Only in exceptional cases will the full IP address be sent to a Google server in the US and shortened there. On behalf of the operator of this site is Google Use this information to evaluate your use of the website, to compile reports on website activity and to further use the website and to provide Internet services related services to the Website Operator. We use Google Analytics to analyze and regularly improve the use of our website. We can use our statistics Improve the offer and make it more interesting for you as a user. For the exceptional cases in which personal data is transferred to the US, has subject Google to the EU-US Privacy Shield, https://www.privacyshield.gov/EU-US Framework. The legal basis for the use of Google Analytics is Art. 6 para. 1 sentence 1 lit. f DSGVO.